Warning: Orthodontic braces may cause scoliosis. I believe it. And I believe it happened to me. A while back, I was having intense myofascial work done by my fascial therapist and she was working intensely on my head, where I usually have many muscular and fascial issues. She was actually working inside my mouth and jaw. Oddly, I started to feel a shift inside my spine. At the same time, I started tasting cold metal inside my mouth. It was the weirdest feeling. All of the sudden, my mind flashed back to when I had braces on my teeth, some 20 odd years ago. 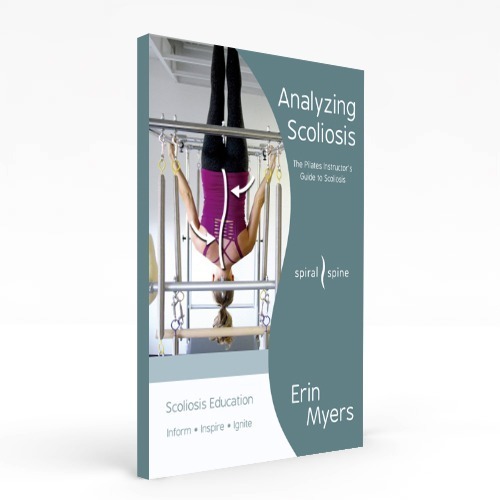 It was the very first time I ever even considered that there was a real connection between scoliosis and orthodontics. After years of pondering this connection, I began talking to people in multiple industries and specialties, and doing my own fair share of research. Now I’m quite sure there’s a link. Now this next video is graphic but if your stomach can handle it, watch this clip of him describing this line and all that connects with this fascia. You’ll be able to see why rolling your feet out helps release this line of fascia, which encompasses your spine. I had braces on my teeth for two and a half years and had to wear headgear to correct an overbite from fifth to seventh grade. The metal part of the headgear pulled my top jaw back while a cloth strap wrapped around my neck and pulled it forward. Knowing what I know now, I truly believe this is what started my scoli. Research shows that the sagittal profile (looking at a person from the side) is affected when a person has scoli[i]. So, shifting a person’s jaw forward or backward shifts that alignmentii. Interestingly, my only sibling has scoliosis too. His is not as intense as mine, but it’s there nonetheless. He, too, had braces around the same age I did and had some jaw-adjusting apparatuses along with his braces. The ratio of boys to girls who have scoli is 20/80, so my brother is in the minority. The most interesting piece to our scoli family puzzle is that scoliosis doesn’t appear in our familial past. Meaning, our scoliosis doesn’t seem to have a genetic past. So, where does our scoli come from? I believe our braces and jaw-moving apparatus was the main culprit for both of our scoliosis. In the Beautiful Scoliotic Back, I recount working with a set of genetically identical twins, both of whom had scoliosis. Their mother was going to have one of them get braces and rubber bands to help with her overbite. 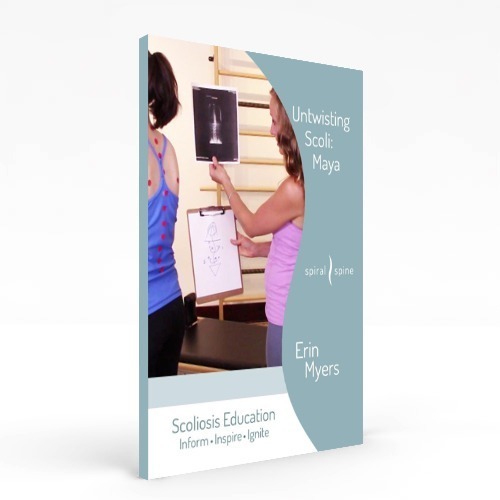 I pleaded with her over the span of multiple lessons to reconsider because her daughter was going through puberty and I was very worried that any teeth and jaw-shifting would make her daughter’s scoliosis worse – and it did. Research shows that there is a plausible correlation between malocclusion and scoliosis. Malocclusion is the misalignment of the top and bottom teeth as the top and bottom jaws bites together. The research shows that scoliosis and malocclusion are often related. If you have scoliosis, often times a deviation of the alignment of the jaw will be present. This also shows that if you realign the jaw, the spine will be affected. If a deviation of both the spine (scoliosis) and the jaw (malocclusion) are present, and you fix the alignment of the jaw, the scoliosis sometimes gets better. But what about my case, where scoliosis wasn’t present but malocclusion was present? I had a deviated jaw but a straight spine. I wonder what would’ve happened to my straight spine if I had left my deviated jaw where it was. After my orthodontic work I had a straight jaw and a deviated spine. If research shows that there’s a positive correlation between the jaw and the spine, realizing there is a correlation between orthodontics and scoliosis isn’t that hard to fathom. We’re so obsessed with perfection and vanity in America. A parent of one of my young scoli clients repeated what an orthodontist said to her about her child having a correctly aligned jaw and straight teeth, saying “it’s a first world problem.” How important is a “perfect” smile to you? Royalty from other countries have imperfect smiles and they seem to be doing just fine on the popularity scales. Full disclosure: my dad is a dentist. I know he would never knowingly put me in harm’s way. That’s the point: most of us don’t know about this connection between orthodontic braces and scoli. Get out there! Ask questions! I can tell you this: my kids aren’t getting braces or any having any orthodontic work done while they are living under my roof. I wouldn’t bless my spine on my children in a million years. I’m going to let them live with the mouths they have in an effort to keep their spines straight. Will you think twice about getting braces for your children? I just want to share how much I appreciate this article and how I have experienced very similar conditions to the ones presented here. The link between braces and scoliosis seems to be pretty evident which is why people need to know the repercussions to getting braces. I would take my old crooked teeth and smile over the pain I am experiencing now in a heartbeat. Thanks for sharing this post. Certainly thought provoking as I also have an under bite and scoliosis too. And like you, I’ve only worn braces to straighten my teeth for about two and a half years also. This completely aligns with issues I’m currently dealing with. I’m in my late 30s. I started experiencing TMJ issues after having orthodontics in my teens. TMJ has gotten progressively worse, as has a noticible head tilt and facial misalignment. Finally went to a chiropractor (I’ve suspected more and more that my entire spine is now wrapped up in these issues), and sure enough, I now have scoliosis that I did not have as a teen when I was checked in school. And other issues like uneven hips, etc. Trying to figure out if there’s a non-invasive way to correct this, or at least stop the progression.